Located just 25km east of Brussels, you will find the historical city of Leuven. Leuven is home to the largest brewer in the world, Anheuser-Busch InBev and the UZ Leuven which is one of the largest hospitals in Europe. It is also important to note that, since it is so close to Brussels, you can literally travel here in less than 30 minutes by train. 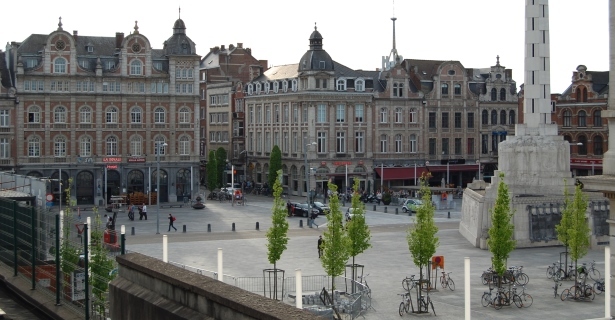 Even if you don’t intend on booking hotel accommodation in Leuven, Belgium, it is still worth visiting even as a day trip if you are staying in a city or town nearby. Whenever planning your visit to any country or city, it’s important to know just what to expect in terms of attractions. First things first, one of the most popular activities is the Stella Artois Brewery Tour. In case you didn’t pay close attention to the label on your last Stella, take another look and you will notice the city’s name printed on it! That’s because Leuven is the birthplace of this fine larger. If you fancy yourself a bit of a “pub crawler” or even if you want the visit the “longest bar in the world” whilst staying in hotels in Leuven, then you should definitely make your way to Oude Markt. This Old Market features about 40 or so bars and cafés that line the streets of the square. You can be sure that the true local atmosphere will always be felt in these parts. Apart from the bars, the fine architecture in itself draws plenty of tourists in. There’s something truly superb about enjoying a beverage of your choice as you enjoy the structures that surround you while the locals go about their business. Speaking of architecture, Leuven has some of the most fabulous old buildings in the country. The Stadhuis dates back to the 15th century and is located opposite Sint-Pieterskerk – a breathtakingly beautiful structure of religious importance. The tower above the university library, like many other fascinating buildings, may be admired from the outside and inside. The city is most definitely geared up for tourists. Tourists can take their pick from various types of Leuven hotel accommodation ranging from luxury apartments to cheap guest houses and hostels in Leuven. Within the city, locals and visitors can easily make their way around on foot or with a bicycle. The speed limit in the city for vehicle traffic is 30km/h which make it wonderfully safe for pedestrians. There are also buses that operate within the city. To travel from Leuven to other cities and towns, one can choose between a bus trip and a train ride. Another advantage is that the public transport in Belgium is generally quite fairly priced. If you are planning on doing a full road trip, then you may feel inclined to pick up a rental car for the duration or part of your stay in Belgium. However, if you prefer to let somebody else take the wheel, you can trust that you are in good hands in Leuven and other Belgian locations.